There are dozens, if not hundreds of things that could be automated in a recruiting firm. The problem is, where do you start? 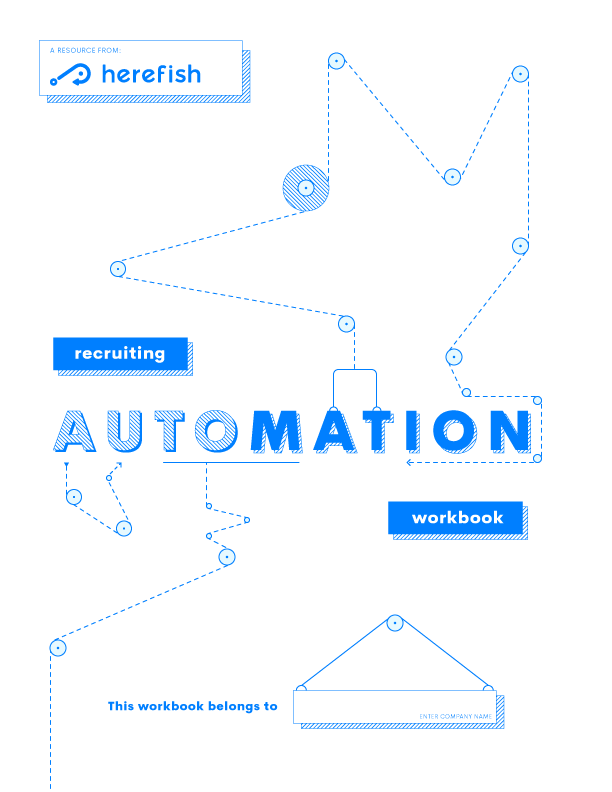 Our new automation workbook will help organize your goals, key stages in your recruiting or sales cycle and plan out the steps and timing for each automation. We've packed our workbook with helpful steps and instructions to kickstart your marketing, recruiting and sales automation program - Download Now!! Add your content to the workbook right on your desktop - just download the doc. Or, print it out and use old school pencil and paper. You'll get a framework for planning out your firm's automation plan that adheres to trends and use cases our customers use most. Sure, we'd love you to become a Herefish customer, but if you're currently using something else - no problem - you can apply this workbook to any automation solution.